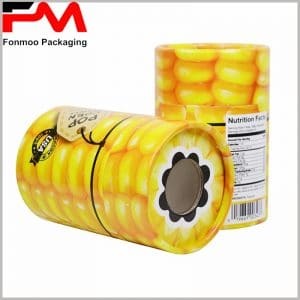 Maybe you have a same product with different models and sizes, you need to customize different sizes of tube packaging boxes, to meet the basic needs of product packaging. We are a professional tube box packaging manufacturer, can provide you with different styles and different sizes of custom packaging. There are ready-made packaging styles to choose from, or as a customized box reference. If you are looking for pure natural essential oil packaging, choose us, because we produce all kinds of essential oil packaging, with rich experience, can strictly control the quality and have accurate grasp delivery time. Making custom packaging for different models and sizes of the same product is relatively easy, you just need to customize the size of the package according to the size of the product. This plant essential oil tube box package has 2 sizes, respectively, can be loaded with 10ml and 30ml of pure plant oil. Small packages can be used as promotional gift, can attract more potential customers into reality. And with exactly the same package design, you can cover a wider range of people, getting better mutual brand effect. For the pure plant oil packaging, according to the special selection of plant raw materials, you can take dark green special paper as a binding paper, the surface texture and visual sense are very good. The overall printing process is based on hot silver printing, along with genius brand logo design which has very good curve. Tube packaging boxes although use kraft paper or cardboard as the main raw material, but can also use the 60g copper paper to cover the surface, in order to increase the aesthetics; and then cover them with printing paper in the outermost layer, which plays a promotional role. If you need custom tube boxes packaging, you can contact us at any time, we can provide you with a variety of custom packaging solutions.